Make your next event more festive by holding it at one of the city&apos;s unique cocktail venues. Let&apos;s face it, meetings and events become a little more fun when there are cocktails involved. This is especially true when the cocktails are unique, innovative and served in stunning settings. 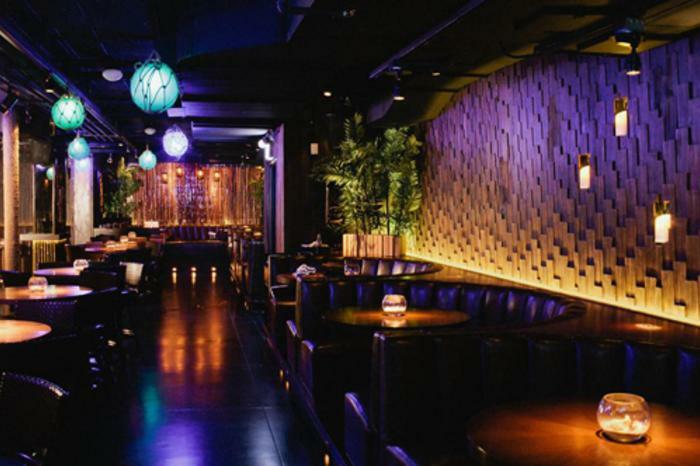 We&apos;ve put together a selection of some of Chicago&apos;s best cocktail venues to consider for your next event. This clandestine, subterranean tiki hideaway serves up tropical cocktails that are sure to transport your guest to an island state of mind. Nestled along a hidden alleyway in River North, Three Dots and a Dash adds an element of fun and excitement to any event or function. Book The Bamboo Room for a smaller party of 30 or host a tropical feast for 250 guests in The Luau Room. Three Dots and a Dash is also available for buyouts. Clinking glasses gets a lot more interesting when the glassware is more complex than a game of Mouse Trap. 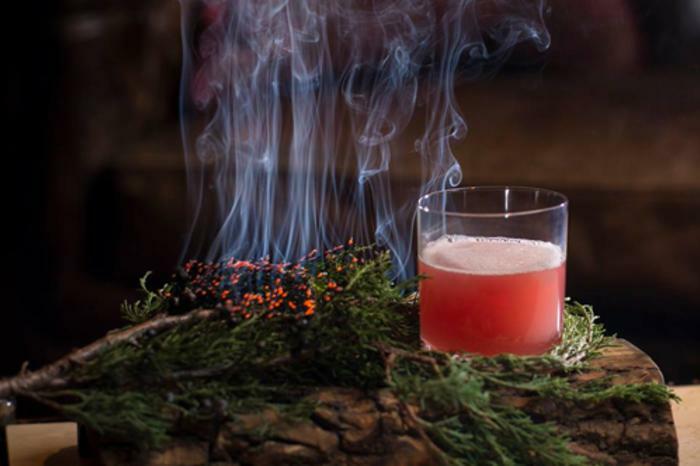 One of the most innovative cocktail bars in Chicago, The Aviary is the boozy masterwork of the team behind internationally heralded Alinea and Next restaurants. At this slick, dimly lit Fulton Market spot you&apos;ll find heightened focus on craft and culinary techniques. From chic tea infusions to elaborate fruity creations that look more like aquariums than cocktails, a night at The Aviary will add a serious wow factor for groups of up to 100 looking to raise the bar (so to speak) on their meetings. 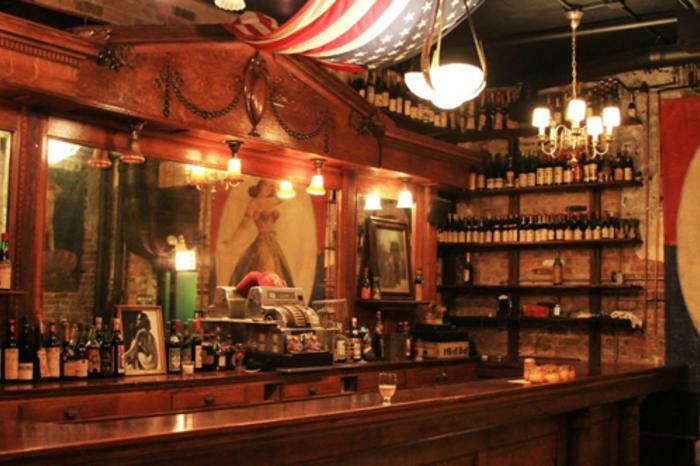 Authentic speakeasies are a hot commodity in the cocktail world, be it a modern and glamorous setting like Watershed or a more mystical spot like The Drifter (see below). 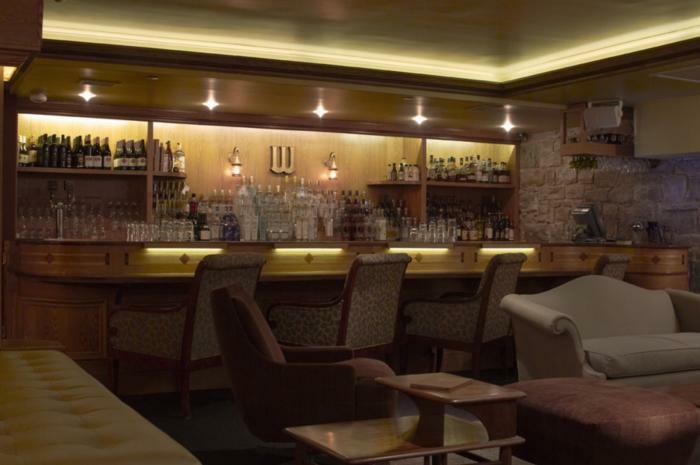 The Watershed is an elaborate cocktail den tucked away below Pops for Champagne in River North. The focus here is on artisanal, locally sourced spirits and ingredients, stirred and shaken into a bevy of progressive house cocktails. The Drifter looks and feels more timeworn than The Watershed, with a funky air to it reminiscent of gypsies and tarot card culture. You can find it beneath The Green Door Tavern, one of the oldest dining spots in town (built in 1872). The Drifter is cozy, hushed and filled with nooks and crannies, making for intimate business gatherings with the added bonus of exoticism and mystique. When it comes to haute lounge settings, the only thing cooler than an underground speakeasy is a bar way up in the sky. 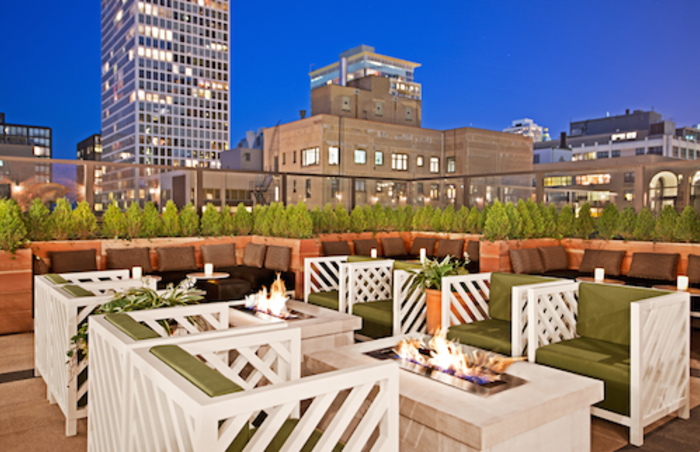 One of the best rooftop bars in Chicago, ideal for group gatherings and corporate toasting, is Drumbar. Perched on the 18th floor of the Raffaello hotel, Drumbar keeps the focus squarely on its modern drinks. The bar is divvied into ample indoor and outdoor space, with the indoor areas resembling a polished parlor. The outdoor deck affords an expansive view of the city skyline, along with comfy seating and fire pits. If it&apos;s a chic South Beach-type setting you&apos;re seeking, meet at I|O Godfrey inside The Godfrey Hotel Chicago. With the largest retractable roof of any bar in the city and a sprawling space, this versatile spot boasts a warm, sunny vibe bolstered by pristine cocktails, both contemporary and classic. It&apos;s the ideal venue for your attendees (30+ for private parties) to gather within the heart of the city, enjoying cocktails and good company with a breathtaking city view. 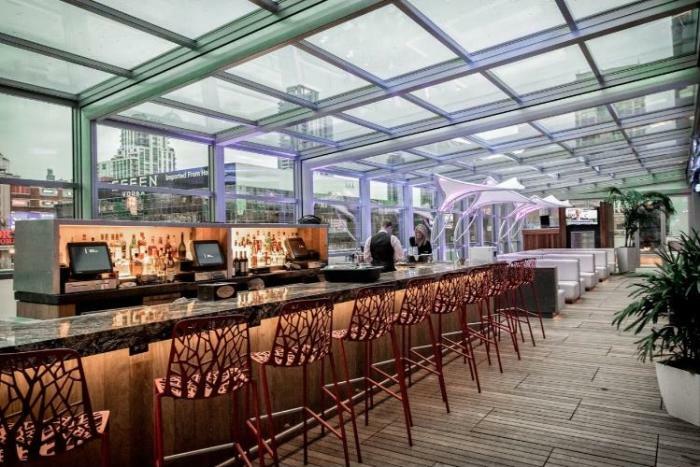 Streeterville Social boasts one of the largest terraces in town. 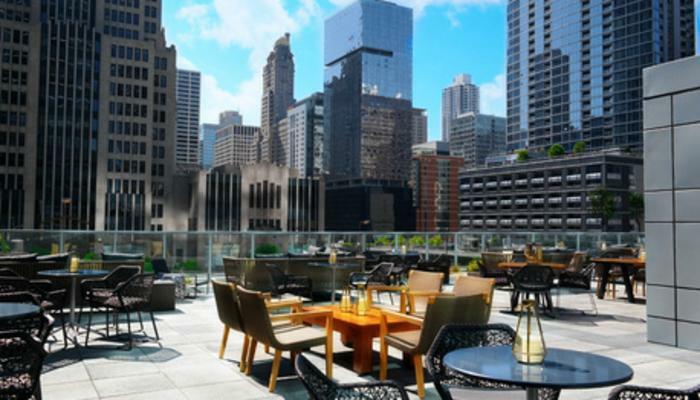 Located at the Loews Chicago Downtown Hotel, this massive rooftop features a grassy lawn with outdoor games like croquet and even giant Jenga. With 7,500 square feet of terrace space, there&apos;s more than enough room to kick back and relax with 600 of your colleagues over drinks and food, bookending any business chat with some friendly competition. 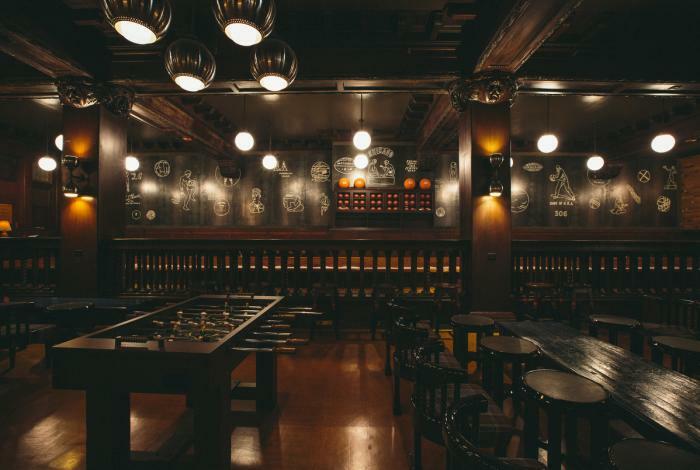 The uptick in activities at bars in Chicago makes it easy to mix a little business with pleasure, thanks to spots like Game Room inside the Chicago Athletic Association Hotel. Located on the second floor of the hotel, Game Room features classic American cocktails in a large space filled with games like chess, bocce, shuffleboard and more. Think of them as good team-building exercises (for up to 250 attendees).